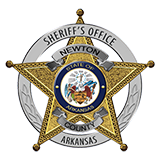 Newton County Sheriff Keith Slape said that a hunter found human remains in the Lurton area July 18th. Slape stated that sheriff deputies, Arkansas State Police, National Park Service, Flippin Police Dept and canine search team from Kansas City, Mo assisted with collecting the remains. " Until we have confirmation from the Arkansas State Crime lab of the identity we are not releasing the name of the person we believe the remains to be", stated Slape.